Control flyaways while boosting shine. 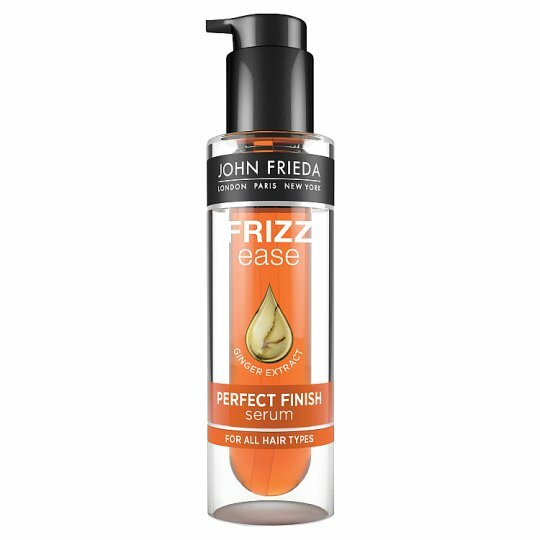 This polishing serum guards your hair against frizz, flyaways and humidity. Directions: Start with dry hair. Dispense 1 pump of serum into palm and rub hands together. Spread evenly through hair, avoiding the roots. Use more or less depending on hair length and thickness, and do not rinse out.